At EcoHomeInstaller, our team offers a one-stop destination for realising a complete renewables solution for your home or business, from bespoke assessment to design, installation and specialised service after-care. Our breadth of knowledge and experience in this fast-changing and exciting industry provides customers with the assurances that the chosen technologies will be the most up-to-date and suitable for your situation. We can help reduce your carbon footprint and energy bills through energy efficient heating and insulation products. Including German electric heating, energy efficient gas boilers, spray foam insulation, solar PV, biomass boilers and air source heat pumps. 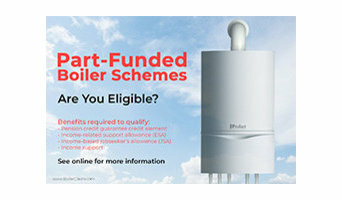 Scot-Heat Plumbing and Heating Ltd.
Specialising in gas boiler installations, repairs and servicing. Since forming in 2006, Perfect Service Solutions has become one of the leading deep cleaning and ventilation kitchen specialists in Scotland; servicing public and private sector organisations working in the food industry, whose needs match our high standards for compliance and convenience. The company's outlook is to foster long term business relationships therefore our surveys are comprehensive and include recommendations on your kitchen extract to ensure chefs, catering staff & customers are comfortable and happy, and we always ensure that we inform clients of legislation and insurance requirements in an informative, interactive and clear way. Because we work with our clients as a trusted ally, Perfect Service Solutions now boasts a strong and varied client base, from single site operators, local authorities to blue chip companies and army bases. In today's economy we are achieving the right balance on quality and cost for these organisations. With over 50 years experience in providing our customers with the best quialtiy boilers and heating appliances, Rhino is one of the leading suppliers of boilers, biomass Technology, Air Source Heat Pumps and Solar Thermal energy in Central Scotland and Northern England. Although we may not always need air conditioning with our British summers, an air conditioning installation specialist will be able to install climate control systems in your home that can adjust your whole house’s temperature with a few pushes of a button. So even if we do have a midsummer heat wave, you’ll be able to keep your home refreshingly cool with Glasgow, Glasgow City air conditioning services. 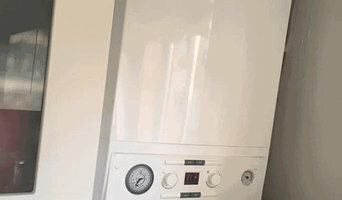 For most homeowners, your central heating will be a typical gas or combi boiler and radiators set up, and you can find heating and gas engineers for boiler maintenance in Glasgow, Glasgow City near you, with Houzz. But even if you already have your whole heating system set up, you can still use Glasgow, Glasgow City heating engineers to install new radiators for you – you don’t have to stick with plain white panel radiators. 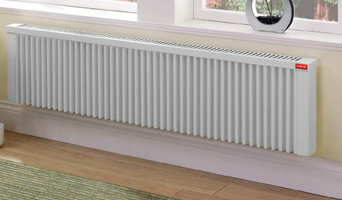 Talk to a radiator company to discuss towel radiators, radiator covers, vertical radiators or cast iron radiators to bring a bit of style to your heating installations. If you’re building a new home or completely renovating a house, then it’s your chance to hire Glasgow, Glasgow City heating and home air conditioning installation services to put in place your ideal climate control system. 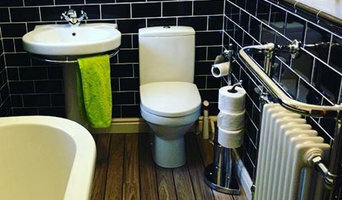 Underfloor heating is no longer a luxury reserved for the privileged few; with electric underfloor heating mats it’s simple and easy to install these days and you’ll easily find lots of underfloor heating installation services on Houzz. If you really can’t stand the heat in the summer, Glasgow, Glasgow City air conditioning companies can install systems that will keep your home cool and crisp throughout the summer. You can choose Glasgow, Glasgow City air conditioning services that will install individual units for individual rooms, perhaps you only want them in your bedrooms, or air conditioning companies that can implement systems for your whole house. Energy efficient homes are becoming more and more popular as we all try to become more eco friendly, and one of the best ways to save energy is insulating your house. Heating engineers in Glasgow, Glasgow City will be able to advise you on the best way to insulate your home and the most efficient method of heating it. There are also now many digital thermostats that can be controlled remotely, so you can turn your heating off and on at the appropriate time without wasting energy when no one’s home. With a climate controlled house, you’ll also be able to only heat or cool certain rooms when necessary, stopping energy being wasted on rooms that are used less frequently. 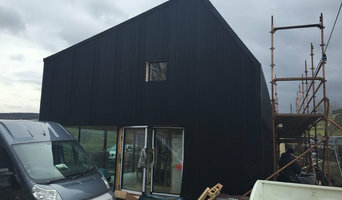 Even if your Glasgow, Glasgow City heating and air conditioning engineer cannot advise you on insulation or energy efficiency, they may be able to put you in touch with someone that can, and even be able to recommend other contractors for related air conditioning services and heating jobs. It’s likely that you’ll be able to find photos of their previous projects, reviews and ratings from clients, right here on Houzz. Here are some related professionals and vendors to complement the work of heating & air conditioning: Specialist Contractors, Main Contractors, Solar Energy Installation, Electricians. Find HVAC contractors on Houzz. Look in the Professionals section of our website and search for Glasgow, Glasgow City heating and air conditioning engineers. Read reviews and see previous air conditioning installations and heating installation projects.